Slim, sleek, and compact, the Vantec LapCool 2 is the ideal laptop accessory. 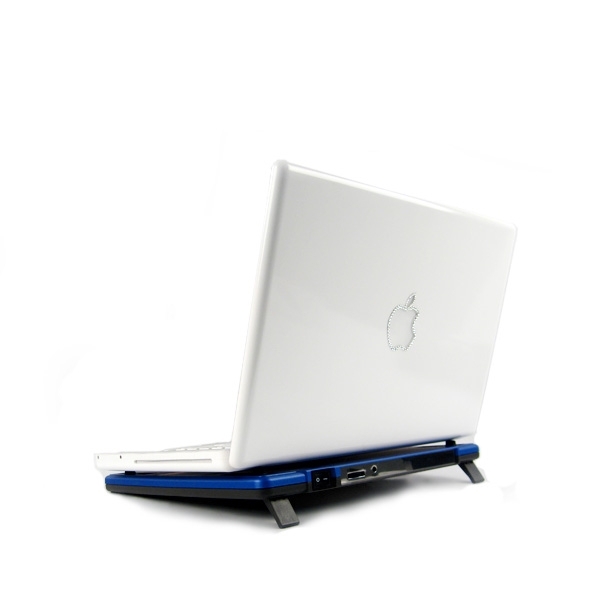 Dual, adjustable fans and an aluminum faceplate keep your laptop cool while hide-able rubber pads hold the laptop securely above with bottom supports allowing you to set up the laptop at an incline or flat. 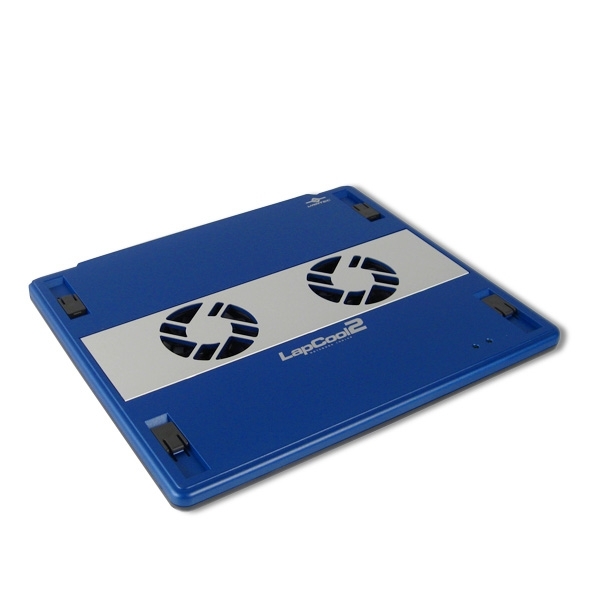 The LapCool 2 is completely USB powered and even features 2 storage compartments at its base, perfect for storing memory cards and cables. 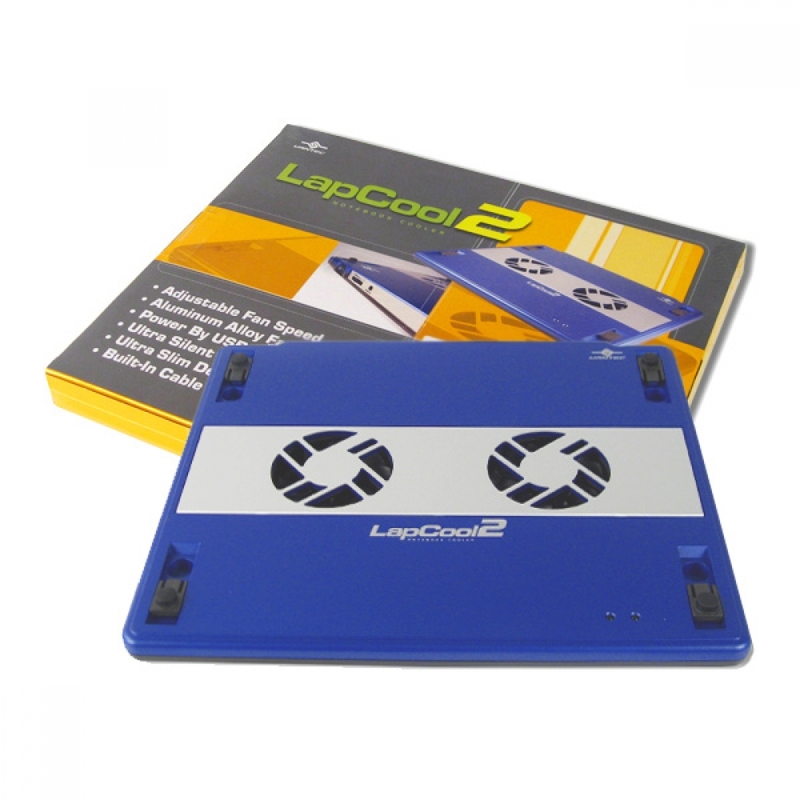 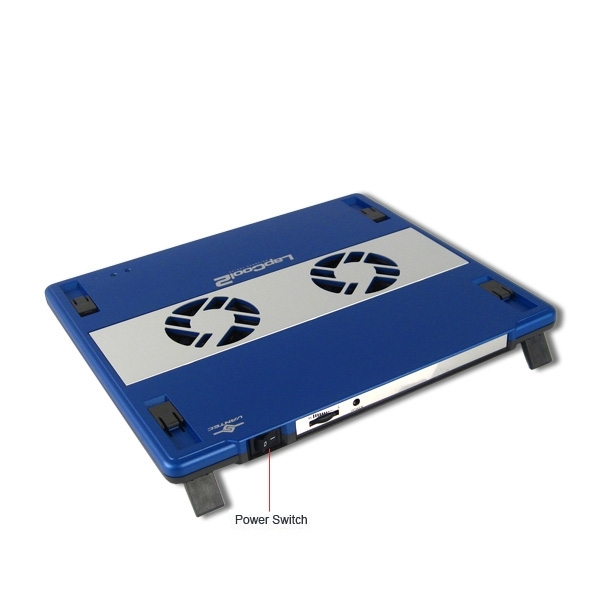 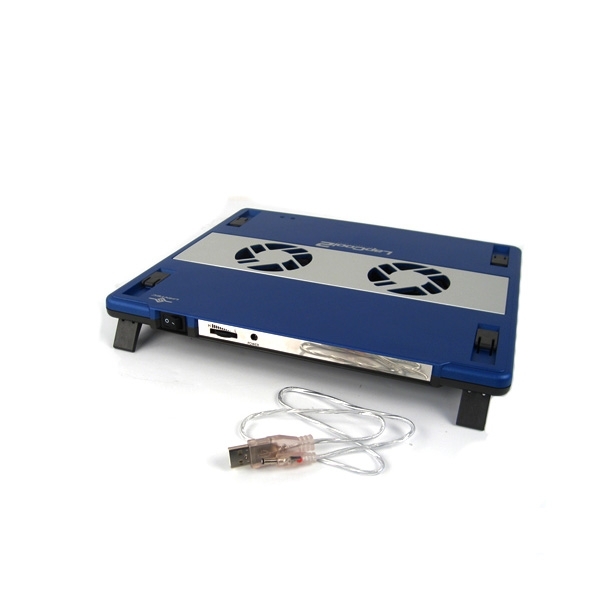 Easy to store, easy to carry, easy to use, the Vantec LapCool 2 is the easy choice for a laptop cooler.